The zoo operator held a memorial service for the monkeys at a nearby Buddhist temple to appease their souls. A JAPANESE ZOO has culled 57 native snow monkeys by lethal injection after finding that they carried genes of an “invasive alien species”, officials said today. A city official told AFP that Japanese law bans the possession and transport of invasive species, including the crossbreeds, and that culling of them is allowed under the law. 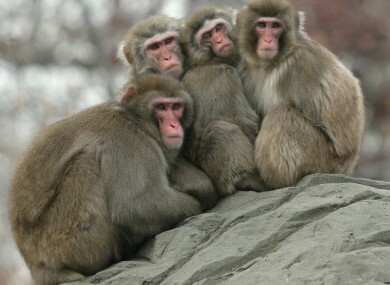 Email “Japanese zoo culls 57 snow monkeys for being crossbred with an "invasive alien species"”. Feedback on “Japanese zoo culls 57 snow monkeys for being crossbred with an "invasive alien species"”.